Having only made the switch from single seaters to GT car racing in 2016, Parth Ghorpade is determined to continue in the new path he's chosen. The Indian racer, who competed in a couple of races in the LMP2 category of the European Le Mans Series last year before a knee injury hampered his season, has announced a new deal with the FFF Racing team. Ghorpade will compete with the team in the 2017 Lamborghini Super Trofeo Middle East Series, as well as the Asia Series. 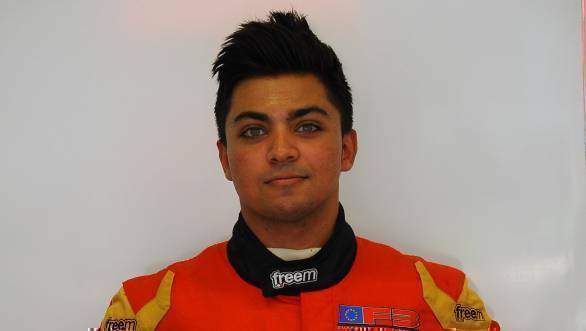 There's more - Ghorpade has been announced as one of the drivers selected to be a part of FFF Racing's Young Driver Development programme, having managed to impress while testing the Huracan at Cremona in Italy. Speaking of his strategy for the season that lies ahead, he said that he planned on using the Middle Eastern series as a training ground for the Asian series of the championship, where he will join fellow Indian driver and Pro Am Title winner Armaan Ebrahim. The three rounds of the Middle Eastern championship will be held between February and March 2017, in Abu Dhabi and Dubai, before the Asian series begins.